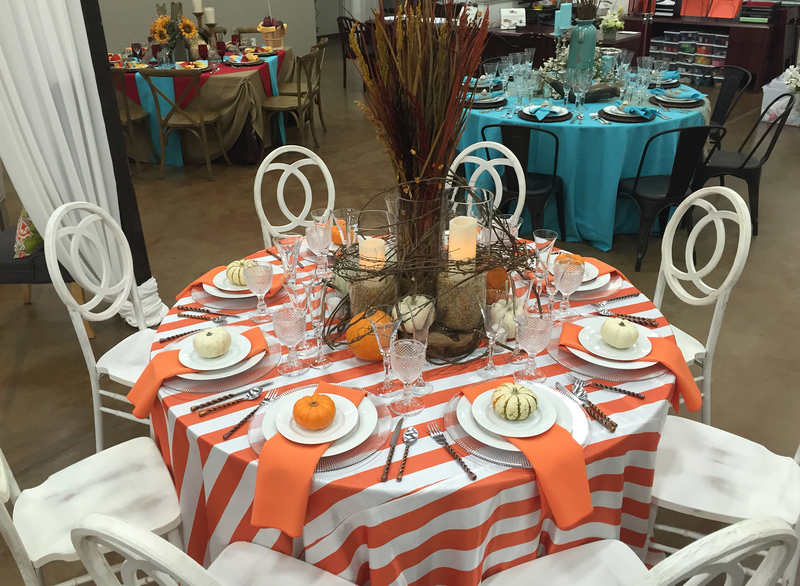 This gorgeous table design is the perfect look for your upscale, rustic autumn event. 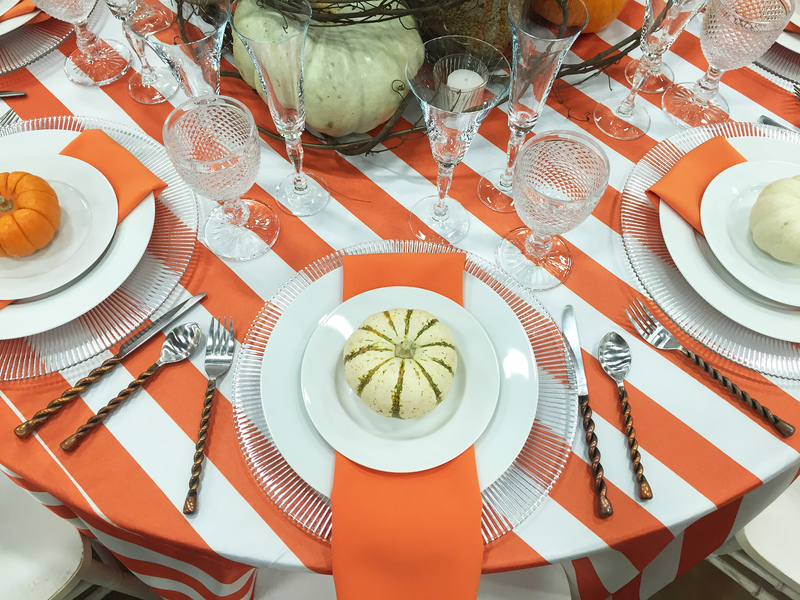 Whether it's out by the barn or in your home, your guests will enjoy the simple elements of this design and light color palette with touches of a mild orange. It's a perfect fall setting without getting too overboard. 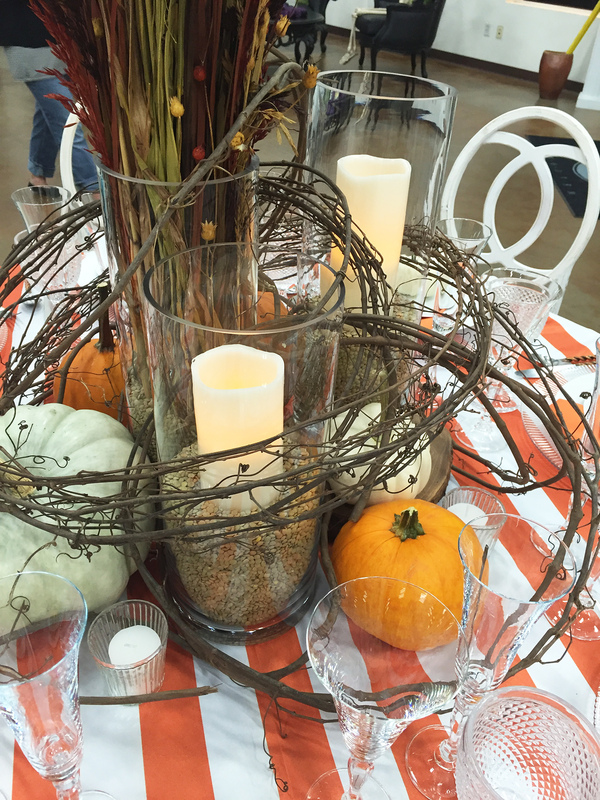 Add a mix of assorted pumpkins and seasonal grasses for a seasonal feel.